The new TV series and accompanying podcast revisit Bartlett’s case. 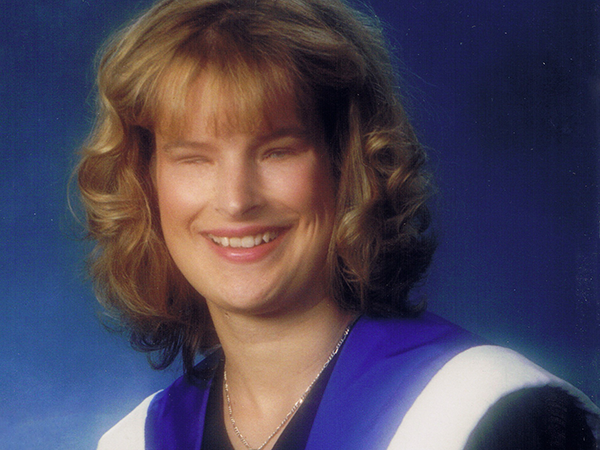 Holly Bartlett's death was declared an accident shortly after she passed away in March 2010. And again, after an independent review of the case in 2014. But the story doesn't end there. Bartlett, who was 31 years old, had been blind since she was 13. She was a dancer, an equestrian and a volunteer. She was also a graduate student at Dalhousie University. 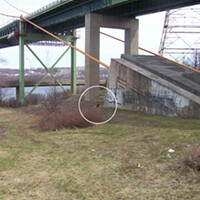 After a night out with friends and classmates, Bartlett was found early in the morning on March 27, 2010, unconscious and injured under the MacKay Bridge. She died in the hospital the next day. For years, Bartlett's family and friends have insisted the narrative from police—that she simply fell because she was drunk and disoriented—does not line up with who Bartlett was. Given her independence and orientation skills, they say, it just isn't logical. (Tim Bousquet first brought Holly's story to light in the December 12, 2013 issue of The Coast.) What Happened to Holly Bartlett, a new docuseries from Accessible Media Inc. (AMI), re-examines the case and tackles alternative theories about how she ended up under the bridge that night. "No one believes what the police concluded," says executive producer Johanna Eliot. "And she was also such a vivacious character in Halifax. Everybody knew her—whether they knew her personally, they knew her to see her. I think that all resonates, no matter who you are, in what city—the mystery." Eliot, also the president of Ocean Entertainment, says the story has been on Ocean's radar for a few years. One of the first steps was to contact Bartlett's family to get their blessing, and they were on board almost immediately. "We don't tell the story in a sensational way," she says. "It is based on reality and facts, we don't exploit people or families." The six-part series is hosted by Peter Parsons, a former orientation and mobility specialist who knew Bartlett. He helped form the Justice for Holly group several years ago. "Drunk, blind girl—case closed. That was pretty much how it went," says Parsons, echoing his words from episode one. "Holly shouldn't be remembered that way. She was such an amazing person, such an inspirational person. She lived life to the fullest and had so much to offer." One of the most striking moments in that first episode follows Parsons as he retraces Bartlett's supposed steps: The path police said she took on the night of the fall. "It was frustrating, for one thing, because I was retracing steps that was a police theory that I thought didn't make any sense," says Parsons. "It wouldn't make sense for somebody with average [orientation] skills, but Holly had expert-level skills." Parsons points out the police didn't learn how a blind person generally travels, let alone how Bartlett travelled personally. "There's an actual profession called 'orientation and mobility,' and [the police] are chalking it up to disorientation," he says. "Well, a really important factor would be to learn how a blind person is oriented. I think it's really important that Holly's story gets told properly." Premiering March 28, What Happened to Holly Bartlett will air Thursdays at 10pm on AMI-tv, with streaming available on AMI.ca after they've been broadcast. A companion podcast of the same name, hosted by Maggie Rahr, will release concurrent episodes. The podcast episodes are longer, providing a deeper dive into details of the case. "We're hoping that we will be able to solve this mystery," says Eliot, "because more information will be out there and maybe somebody will say something."